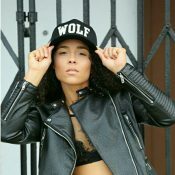 Meet basketball and fitness guru, Crissa Jackson. The LPGA's Ryann O'Toole takes on our Fast 5 questions before heading into her 2017 season. 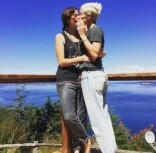 The unbearable lightness of Megan Rapinoe and her fiancee cuteness. Comedian Jennie McNulty reacts as NFL names first female ref in wake of abuse scandals. Athletes and attendees treated to an unexpected greeting. Leah Johnson, Miah Register say they were singled out at University of Richmond. USWNT star becomes first out athlete to pose for the publication.